Zespri has opened the doors to its new head office in Mount Maunganui, New Zealand. 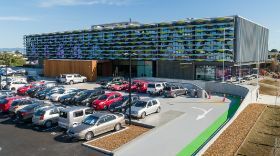 The three-level facility sits alongside the single desk marketer’s former headquarters on Maunganui Road and can accommodate 340 Zespri staff. The building features activity-based work zones spread across four work neighbourhoods. 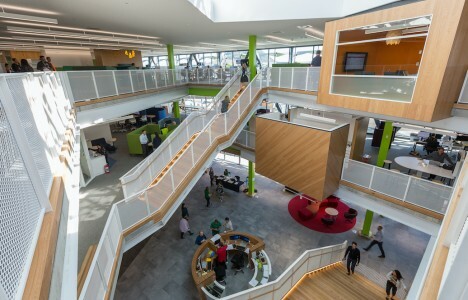 The new office acts as a hub for New Zealand’s kiwifruit industry, bringing together Zespri teams who had previously worked at three sites across Tauranga. Industry organisations New Zealand Kiwifruit Growers (NZKGI) and Kiwifruit Vine Health (KVH) also have ground floor offices in the new building. “We achieved some great things in our old office and have some fond memories from our 23 years there, including the way our industry came together to work through some challenging times, but we’ve clearly outgrown it,” said Zespri’s acting chief people officer, Dave Courtney. Zespri has invested over NZ$40m in the design, build, fit out and furnishing of its new complex, with a second phase of the building’s construction to commence shortly. The next phase of work includes the final demolition of the previous 1970s-built head office and the construction of an additional wing to house several meeting rooms featuring interactive technology and a demonstration kitchen. This is expected to be completed by the end of the year with an official opening of the new building to occur in early 2020. “We’re looking forward to the completed building complex being a space that our community can enjoy and that the whole kiwifruit industry can come together in to celebrate future milestones and entertain visiting government, trade and media delegations,” Courtney said.